Christmas 2014 may be a rapidly dwindling memory, but even during this break from work I was still presented with a learning opportunity for board game design. Now for those that have met me, you’ll know downtime isn’t something I really do. My mum used to call it ’round bottom syndrome’, as I’ve always had trouble sitting still and just relaxing; I was the kid who would be getting up and flinging cushions during a film, or struggling not to flick through that new Choose Your Own Adventure book whilst Grandma is trying to tell me ‘look how much you’ve grown!’. 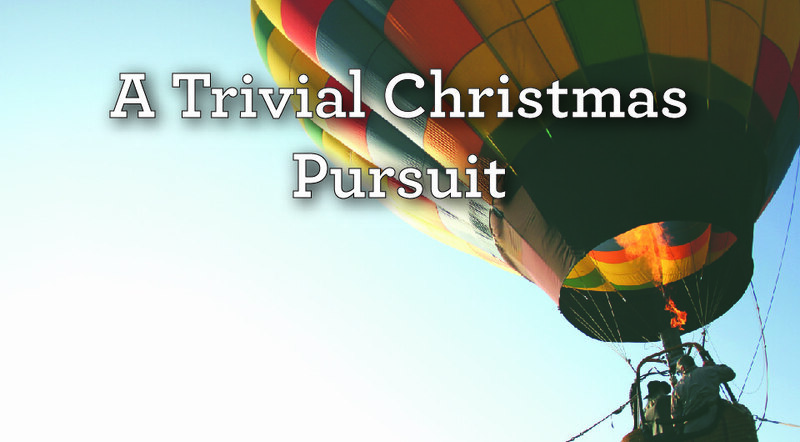 So when Christmas came and someone said ‘let’s play a game’ I decided to take a punt on a one some may not consider well-designed; Trivial Pursuit. My in-laws love this game, and this Christmas we got through two fairly short (read: less than three hours) playthroughs. I’ll go on record here and say, I don’t like this game. The roll and move mechanic is a pain (although to be fair TP does it better than most, but I’ll leave that for a different blog), the questions can be highly situational (if you don’t know, you often have to just guess) and player downtime can be nuts. So this year, I decided to bring along a different version of TP. From the new Shuffle range, this edition comes in a small plastic box with cards and no dice or board. Instead, players have a hand of cards with the wedge pieces on them, and during their turn they can choose which ‘piece’ they want to go for. If they get the corresponding question right, the card stays in front of them; get it wrong and the card is discarded. However, the best feature of this edition is the ability of other players to buzz in if the owning team gets the question wrong, which allows other teams to gain ‘pieces’ outside of their own turn. Throw in some special cards with various abilities (wild cards, steal pieces, block steal, etc) and what you have is a game that plays in ~30 minutes and has much less randomnness than the original game. It’s not perfect by any means. The Steal cards can, through pure luck, win you the game if the owning player has no Blocks. The Buzz-in mechanic excludes the questioner (who obviously knows the answer) so they are automatically unable to participate. Wild cards are incredibly powerful as they a) can’t by stolen, b) can represent any piece, even if you answer a question of a different colour. But I definitely think this game is a step in the right direction, and made Trivial Pursuit a game I felt I could actually enjoy! So are there any games out there you feel need a revamp? Have you played any new versions of a ‘classic’ you felt was better than the original? Is there a mechanic you’d think just needs a little tweak to make a classic game relevant to the modern board gamer? As always, we’d love to hear from you!